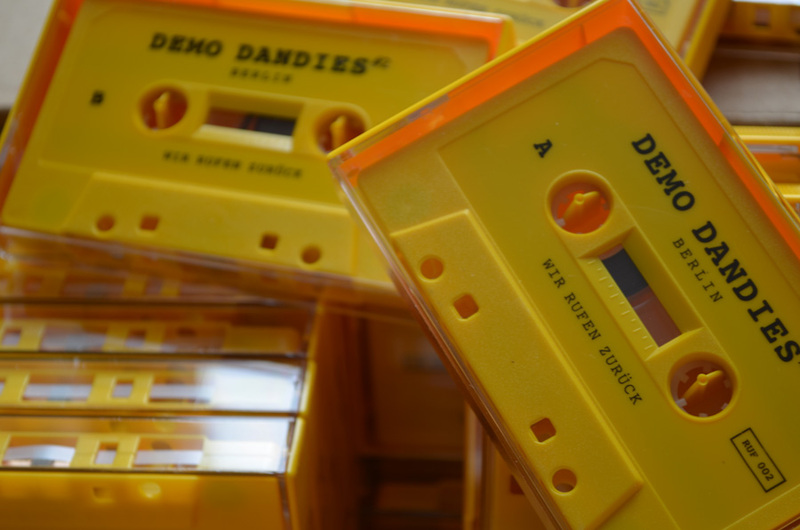 Ahoy, you fantasy birds, we want your demos! Con- and dissonances of the East, unify yourselves! We are looking for music as it once was, before Germany sought the superstar. Come out of your holes, you amphibians! The Church of noise is waiting. As soon as possible send an email with 3 sentences about yourself / your band and an mp3 for us to listen to (this does not replace the CD-R demo!) to info@demodandies.de. Subject line “Demo Dandies Halle”. Then bring your MUSIK AUS FEUCHTEN KELLERN (Music From Damp Cellars) on clearly labeled CD-Rs (up to 3 tracks) to the Radio Revolten Club (Rathausstrasse 3, 06108 Halle an der Saale) on the 22.10.2016 and hand it over at the DJ booth. The event will be broadcast live on radio and streamed on the internet. All played artists and tracks will be announced live. At the end a tape compilation is planned. – We do not accept Soundcloud links! – Write on the CD / CD case: Artist and Track Title. Remember to add contact details! – If you cannot attend in person, send your CD-Rs before the 18.10.2016 to Raeithel, 3plusX, Gaußstrasse 25b, 22765 Hamburg. Recordings brought to the venue in person are preferred!